Try Continuous Ink System with your Epson Expression Premium XP-700 and make 30 times more quality prints for the same money! Pay only 0.04 USD for A-4 full color print! Create more prints, pay minimum! After installing CISS Epson Expression Premium xp-700 it becomes reality! This device considerably reduces the printing cost price and at the same time, these copies are of high quality. You can and should economize on ink-jet printing. Every photo, every image, postcards, text document, advertising or coloring book can have a really low price. 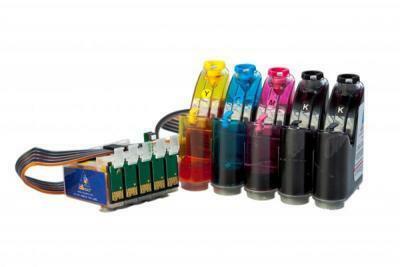 Continuous Ink Supply System cis Epson Expression Premium xp-700 is a wonderful alternative to original cartridges. This device gives an opportunity to spend minimum sums on printing. The cost price of each copy comes down 30 times. The quantity of copies measures thousands of copies. It's easy to calculate when this system compensates. You may buy Epson Expression Premium xp-700 CISS on our web-site that is easy and fast. Also on our web-site you may find and immediately acquire CISS epson nx420. Printing system ink system for Epson Expression Premium xp-700 is very necessary when you need to print great volumes of materials. Comfort in use and continuous printing perceptibly save not only your money, but also your time. In addition to it, the productivity of a multifunction device increases many times. On our web-site it's profitably to buy CISS epson nx127.